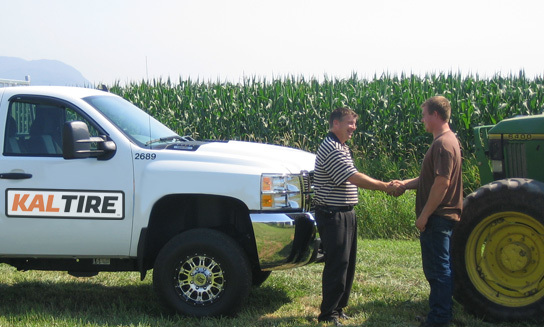 Kal Tire is the leader when it comes our customers’ farm and agriculture needs. We have a broad product lineup (Michelin, Firestone, BKT, Westlake). This means we can be very specific about what tread design is best suited for your application and budget. Our tires are nothing without the experience to put them on right. This ensures that you are maximizing your investment with as little down time as possible. We have fully qualified people working with state-of-the-art equipment who are fully prepared to deal with your smallest tire needs up to your largest (as large as 320/90R54).